Bryan turned thirty while we were camped there. He only told me about it later. I was a bit stunned. It seemed like such a strange keep. Or maybe “secret” was the wrong word. It was just silence, really, a form of privacy, a refusal of some obvious, conventional sentiment, and as such, very Bryan. For all the intensity of our friendship, and despite our now constant companionship, I always felt, in some basic way, shut out. Was it me in particular, or the world in general, that he seemed to keep his guard up against habitually? The old-school masculinity that so many people, including me, found attractive carried with it no small loneliness. 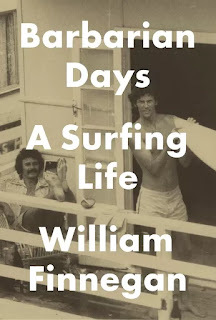 Then Bryan double-surprised me by saying that he could not think of a better way to spend his thirtieth birthday: surfing good waves at an unmapped spot in the South Seas, gone from the known world.